Flutters about and sheds dust. A couple breeds of this moth are the most common in the moveset, but is only one with PP. 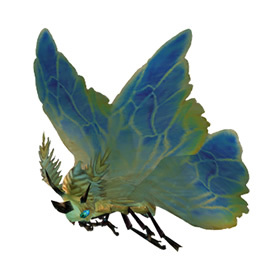 As others have noted, this is probably the only Moth to have a P/P breed (unfortunately, because i love Blue Moths), but it's a real Aquatic killer and good team captain when leveling your other pets, especially in Vale of Eternal Blossoms at the little corner where you can fight No-No. And as a matter of fact, you can solo No-No with the Yellow Moth as well. Let him build the dam and break it down himself as you wait, time your Cocoon with his Dive, repeat, win. Among the most powerful battle pets available to new players and simple to acquire. 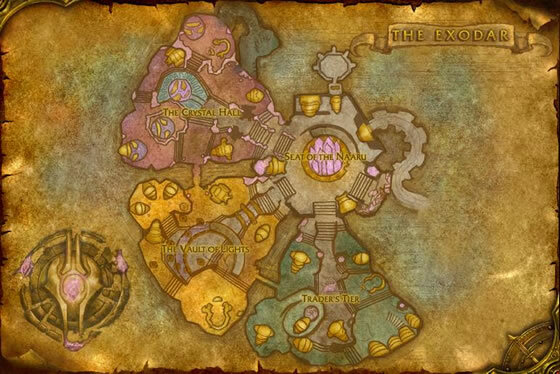 Catch & release in Exodar until you have 2 or 3 of the P/P breed. Level them, then stone them as you go. They will not disappoint. Some players will be frustrated by their reliance on RNG, but their ability to dish out serious damage & avoid Pump and Burrow sorts of attacks make them invaluable. Once you have these on your team, the rest are likely vanity moths, except for a Call Lightning Moth or two. My new favorite pet. Using a stoned P/P. I was power leveling my pets in Vale of Eternal Blossoms with a P/P Wildhammer Gryphon Hatchling, but this moth is my new team captain. It's 366 speed above 50% HP. 270 dmg Cocoon Strike, 812 dmg Moth Dust, and 676 dmg Alpha Strike against aquatics. It isn't the prettiest pet, but it makes up for it with raw power and survivability. As others have stated, this is the only P/P breed moth as of 5.4 [Jan. 2014]. It's a monster vs. Aquatics. I had to buy 4 before I was lucky enough to score the P/P breed, Good luck! (Grab it, you won't regret it). I only wish I'd known about the whole different breed thing before I did because this thing would have saved some headache along the way. I have the P/P breed, and love her. I use Cocoon - MB - Alpha - MB [repeat], when power leveling my lowbies in Classic and Outland. Adrenaline dmg = Cocoon's, but as a Flyer she doesn't need the speed and blocking is great. Moth Balls has a shorter cooldown and hits harder. Every 4 rounds, MB fires twice, averaging 720 dmg, and usually lands the 50% speed drop (replacing Adrenaline); Dust only fires once for 541 dmg, and rarely lands the sleep. Draculabus (the name of my rare P/P yellow moth) is awesome and makes short work of aquatics. He's useful against other types just because w 341 attack, flying speed bonus, adrenaline rush, and alpha strike, you're bound to do decent damage to anyone. And if your moth dust hits? Say "goodnight" Gracie cuz your opponent is going down for the count. Love my moth pets. This one especially can down a couple of the aquatic Legendaries in Pandaria almost single-handedly. As Lisanette stated, this is an excellent moth for aquatics that dive or headbutt, as the cocoon strike is a great counter for both. Plus, the added damage from getting a breed 4,14 means that lucky hits with moth dust ruin your opponent. I bought 34 with the little gold I had on my lone alliance toon, and got far more of the breed 12,22 and 3,13's than the 4,14's, with just 6 total breed 4,14 from the lot. I figured it might be worth it to lvl these, stone them and sell them. Only moth with a P/P (or 4 or 14) breed! Prefers flying during thunderstorms, which are common in Azuremyst Isle.